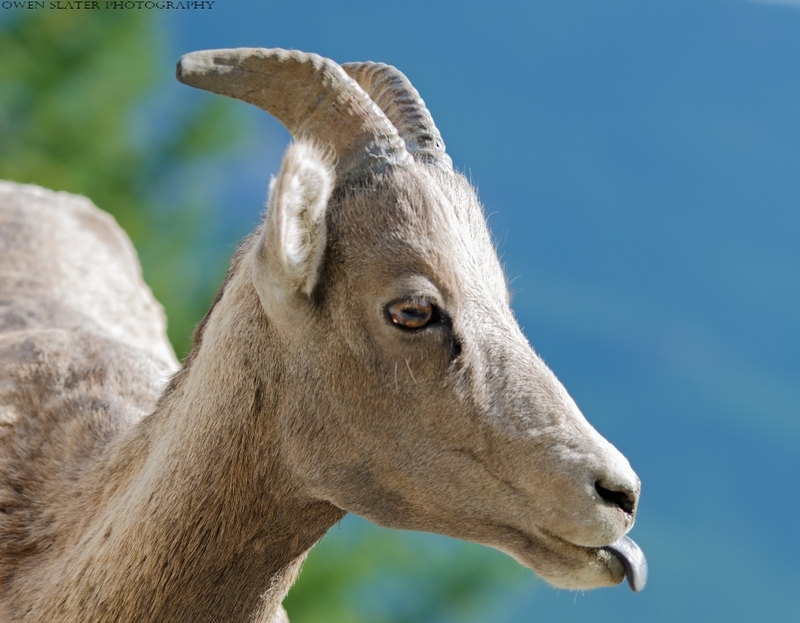 It’s big horn sheep rutting season in Alberta and the big rams are at their most impressive. 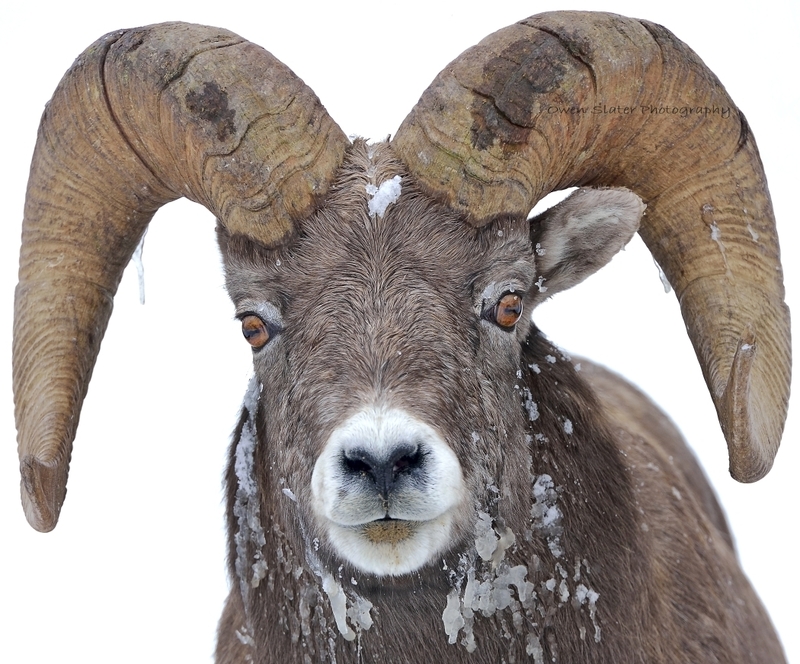 Covered in snow and ice, this ram was filling up on minerals, with some of them sticking to his lower lip, before heading up the mountain to battle with the other rams for breeding rights. 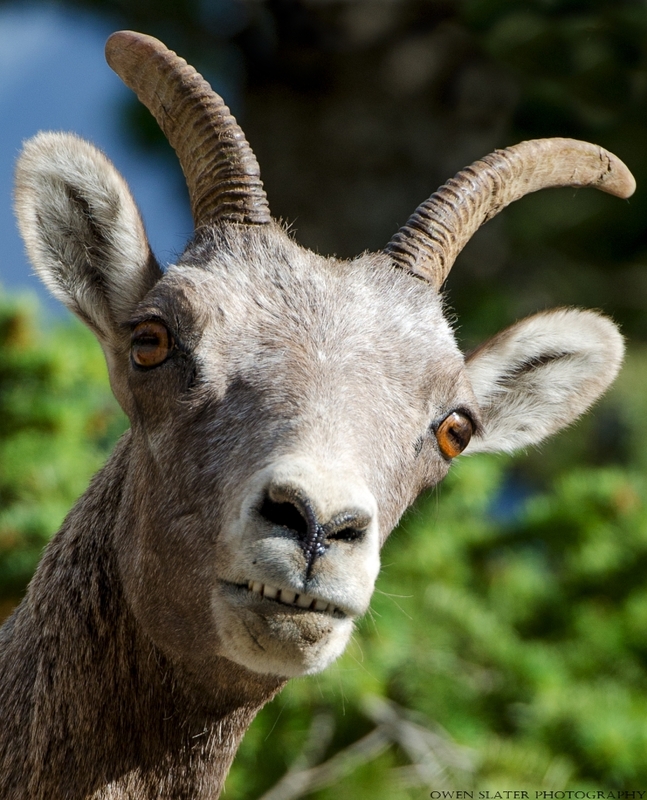 I have grown accustom to big horn sheep hanging out roadside licking up minerals and eating grass to the point that I have developed the bad habit of not paying them much attention. However, with company in town the sheep were low hanging fruit and they became an instant hit. We stopped for several minutes so they could watch and photograph them. Initially I didn’t lift my camera up but soon some of them were making pretty entertaining faces that I could not longer ignore! They put on a great show for us and left me with the parting shot below. I guess I need to pay them a bit more attention the next time! 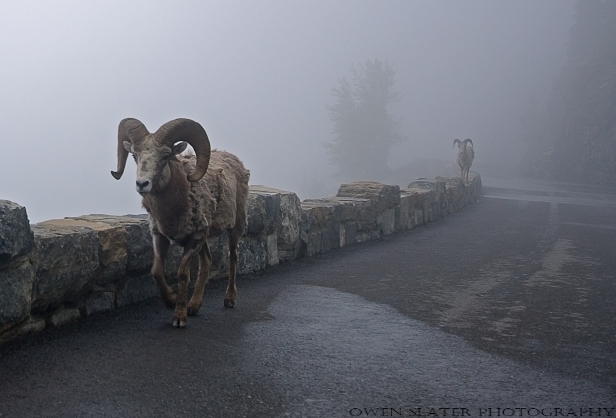 Two big horn sheep emerge from the fog to make their way up the aptly named Going to the Sun Road in Glacier National Park, Montana.